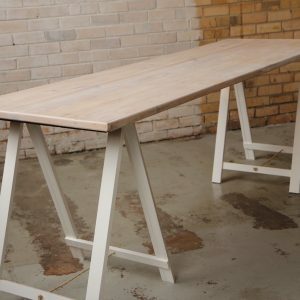 Our high white washed traditional trestle bar provides a classic coastal look for any event. 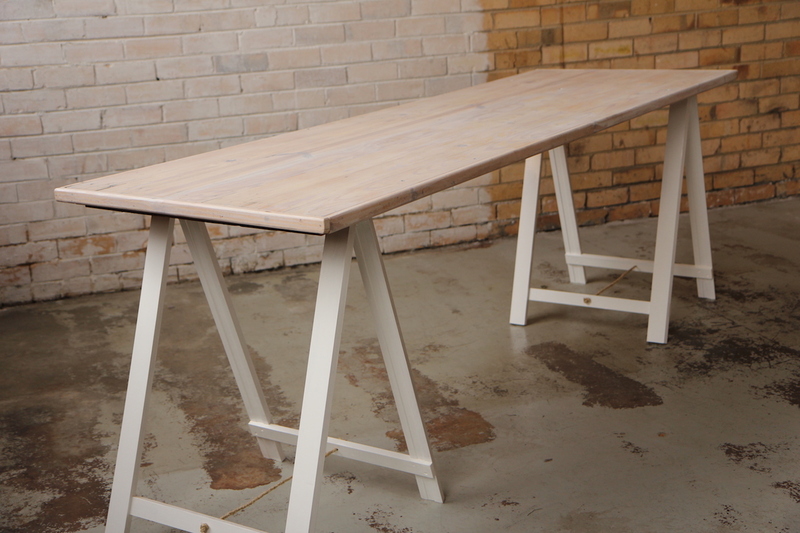 The trestle table top is finished with a waxy white wash coat that creates the perfect washed out look. The table top is perfect for an event or wedding bar and can be used as a food grazing station or traditional beverage service area. The high gloss trestle legs have been made to lift the bar top up to 90cm (the height of most kitchen benches). The higher working height is perfect for serving from. The table top is 2.45m x 0.8m (0.9m height). Contact us for all your corporate or event bar needs. Note – this is not a dining table trestle due to its increased height.